The first term of any school year is always tough, usually great fun, but tough, even in a school you have known for years. Getting to know a new class, year group cohort, intake of children; agreeing new class charters; setting expectations; testing boundaries; establishing class and school routines; inducting new staff and getting to know new parents. And when you start at a new school, well, that adds another level altogether. Usually. I have just reached the end of the first term in my new school, and feel that now is a good time to stop and take stock. To reflect on how everything is going and all the things I have learnt since the start of this academic year of change for my family and me. And to think about my goals for the coming year and all the exciting things that lie ahead. In August this year, I moved with my husband and son from London to Malaysia to take up the position of Deputy Head of Primary at Garden International School, Kuala Lumpur. It was a huge decision for us to come and make our home in Asia, and for me to take up my first position in an International, fee paying school, but we were extremely excited at the opportunity it offered us all. Anyway, I was moving from a large, multicultural state school in Hounslow, West London where 82% of our children spoke English as an additional language, and where mobility was sometimes as high as 40%. I had some relevant experience and couldn’t wait to start. 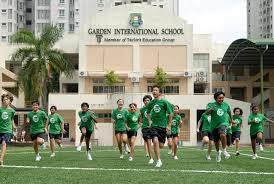 To give you some context, Garden International School (GIS) is the largest private, co-educational, international school in Malaysia, with 2100 students, from over 60 nationalities. The school has three campuses, the main Primary and Secondary campus where I am based, an Early Years Centre five minutes away and a campus in Kuantan on the East Coast of Malaysia. We have 1000 children in the seven form entry primary school and EYC, with 60% coming from expatriate families and 40% being local Malay children. Our curriculum is based on the International Primary Curriculum (IPC) with an emphasis on a holistic approach to learning. The student vision of developing adaptable lifelong learners, active citizens, effective contributors, resilient individuals, independent enquirers and creative thinkers is central to this curriculum. Coming in to a school in a senior role, is always a balancing act; do you immediately try to grasp at the reigns in order to help steer the direction the school is taking, or rather jump aboard and get to really understand the journey the school is on before deciding if you need to steer anything differently? In realty, I have learned that you need to do both. The main thing though, is to remember it is all about the children. Remembering why I came in to teaching in the first place, thinking about how I can make a positive difference in the children’s lives and how as a school leader I could ensure that all our teachers and parents buy into that too. We need to always be thinking about what the children need. What do they respond well to? What do they engage with? What interests them? What challenges them? Children genuinely thrive when they are challenged in the right way. This term, I have learned just how well children will respond when they are offered relevant, exciting challenge in a supportive and safe environment where failure is a common occurrence and seen by all as a valuable learning tool. I have witnessed the most incredible and immediate change in my own 9 year old son. 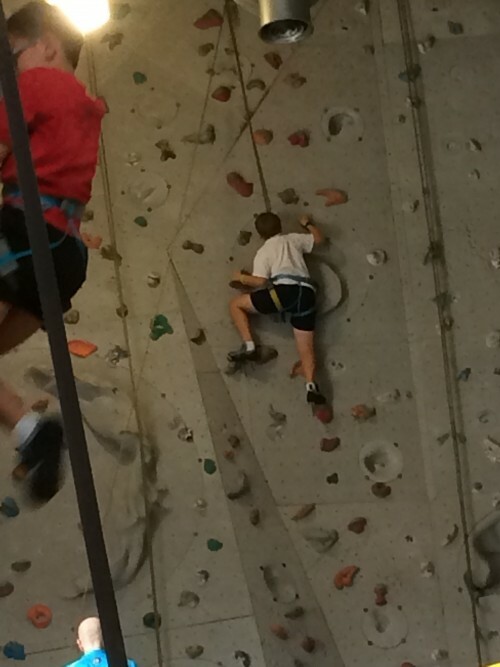 I could list here all the opportunities and challenges he has been given at school this term, but what is much more important is how I have watched him take on, and succeed in challenges he would never have had the confidence to try previously. I have also watched him fail and begin to really value the lessons learned from failing and understand that failure is OK and is actually a valuable learning tool in itself. In the UK, he attended a 3 form entry primary school in Richmond. He was in a class of 30 children, all from similar backgrounds, all living locally, all with supportive and involved parents. He was doing well too, top of the class in many areas, but not in all. His reports were constantly good and he had a great set of friends he had known since Reception. But he was bored. His books were full of ticks, he got 10 out of 10 for tests, he was proud to announce he and his best friend had been given a ‘yellow card’ for chatting in class. My son was not being challenged at all. He was bored. And it showed. The most interesting thing for me though, is not how he has responded to the challenges set by his teachers this term, but how he has risen to the challenge set by his peers. 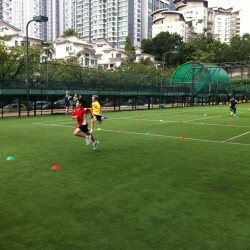 Our school held a cross country running event for the year 5 and 6 children in October. My son is a sprinter, not a distance runner, and has never really excelled in anything sporty. In October, we were both still very new to the school and he in particular was having some trouble adjusting to the heat and business of playtime and lunch times. Running a cross-country event, outside in 30 degrees of humid heat was something he was rather apprehensive about, and in fact losing sleep over. But he did it. Not only did he do it but he listened to advice and paced himself and finished mid field, an incredible achievement. He felt so proud of himself, as did I of course, but nowhere near as proud as I felt when I heard him saying that the race had been really hard, but he kept telling himself he just had to finish, to keep running and finish, and how he was really pleased he had. Not only did he finish, he told me he came in ahead of 47 others, and perhaps next year, when he had done some more practicing and was more used to the heat, he could finish ahead of a few more! This level of determination, resilience and endurance was something neither his Dad nor I had witnessed before. My second example involves homework. My son has always completed his homework on time (with the ever necessary parental push!) however, he always did just enough to finish and no more. Now things are different. He knows that others in his class will really try to do their very best with each piece of homework, and this is having an impact on him. No longer is it good enough to do things once just to get them finished, now we have to read things back, review our work, look to improve it, ask us parents for help or opinion and think about how best to present his work. These seemingly small changes are huge and I am sure any parent who has spent endless hours with their child when completing homework will agree. To have this level of motivation is invaluable. Our children live in an ever developing digital world and we as teachers, need to live it with them. I admit I am old school. There was no computer in school when I was at primary school, and just as I like to think I have caught up and am now a bit of a whizz with PowerPoint and Skype, everyone around me is using Prezi and Google Hangouts and living virtually ‘on-line’. But recently I got go to the EARCOS Leadership Conference 2013 in Bangkok, and came away inspired. I learned for the first time about creating my own digital footprint (thank you George Couros) using Google for schools (thanks to Jeff Utecht), creating e-portfolio’s for children, flipping the classroom (big thanks Rick Wormeli), and many other useful and to many, obvious developments in the use of technology in teaching and learning today. So conscious was I that I didn’t just come away inspired, but that I followed through on what I learned, I now Tweet, have my own basic web page, and am now starting this, my first ever blog (see the advice from George Couros at why teachers should have a blog). From January, all our Year 5 to 8 children will be bringing in to school their own iPads to be used daily in their learning. They are much more ready for this than I am, but I am excited to learn. This is one area in which I have significant amounts to learn, but one which I am truly excited about doing with the children. The provision of good quality, inclusive special needs support has to be at the heart of any truly successful school. In my previous school we had a Centre for children with moderate learning difficulties. These special children brought to the school a vulnerability, warmth and friendship that all of us, child and adult alike, benefitted from. Many of the children in the Centre actually had significant learning difficulties, with some coming to us because places were in short supply in local special schools, and others came because their parents wanted above anything else to send their children to a mainstream school. Of course, as parents we all want our children to be ‘normal’, whatever that is, and actually getting additional support just highlights that a child is somehow ‘different’. I have known parents refuse to send their child to amazing special schools where they would thrive, learn and grow, just because they could not bring themselves to publically admit that their child needed additional support with their learning. It breaks my heart. The reality is that catering for children with any special need, be it a child with a specific learning difficulty, a child who has very little English, or a child with emotional and social difficulties, is demanding. But actually, catering for the needs of all children is demanding if you are doing it right. Demanding but hugely rewarding. And I have learnt, since moving to the heart of Malaysia’s international school community here in Mont Kiara, that I am not the only educator and parent here who has recognized the need for international schools that welcome and support children with different learning needs. I was recently shown an article from the Financial Times by a parent in our condo, titledExtpat life sets challenge for families with special needs which highlighted the difficulty faced by many parents. I also had a similar conversation with a parent who was considering keeping her children at GIS even when her husband moved to a new job in Hong Kong if they were not able to get places for both children in the only school she felt would support her son’s learning needs should they move. We have to address the competition between education and learning / knowledge and skills. In an environment where our parents (or their employers) are paying for their children to attend our school (a school in which at the end of Secondary, 100% of our students gain entry into either their first or second choice university) expect their children to get great exam results. We are lucky in Primary that we do not need to adhere to the obligatory SATs testing forced on state schools in the UK, but our parents expect good ‘test’ results none the less. Remember, we are teaching in a multi-cultural environment where as we drive to school we are faced with advertisements for individual and group tutoring, after-school crammers for exams, additional schooling in home languages, TV channels specializing in tutoring in English, maths and the sciences. It is all about the demand for pieces of paper that ‘prove’ a child’s ability. So, that is where my reflections on term 1 start. Over the next terms, I intend to more fully explore each of the points above and share elements of our practice and ideas as I go. I am privileged to have one of the best jobs in the world – I work with children every day, and they make me want to be better. I hope that by sharing my learning journey in this blog, it will motivate me to continue to improve as a teacher, a school leader and as a life long learner. Wow, Suze – inspirational! I want to buy you a beer and quiz you for hours about how I can adapt some of these lessons in my practice. Thanks for taking the time to write a blog Susan, very inspiring! Isn’t life different overseas? Wow!! I’ve just read it, and will definitely follow ur blog. Keep up the Awesome work. Amazing!! !